That is just gorgeous!! I LOVE that train and the map background too!! GREAT card! Love the train/map combination! and the pop of red in the sentiment is perfect! Thanks Tammy! I love this combo too! One of my favs for sure! One of my fav combo's. Black and white with a pop of red! Perfect! Thanks for playing along with WWYS!!! Love this card! It's just darling! Thanks so much for playing along with us @ WWYS! I love this so much Tina! Everything is perfect from the color combo, to the layout... And your live for this stamp set-haha! 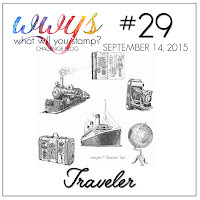 Thanks for playing along with us this week at WWYS! 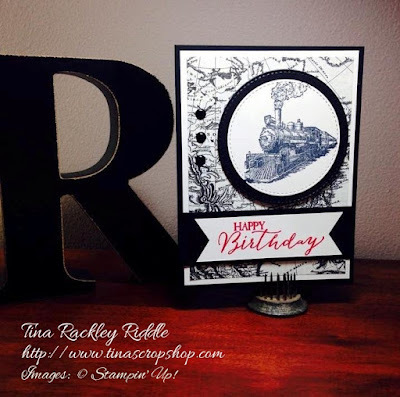 I love this stamp set too and I love your card. So happy you played along with us at WWYS. Hope to see more from you in the future. Thanks so much Susan! WWYS is a fun challenge blog!